The silent saboteur of website conversion rates is bad website design or a pretty design that’s all fluff and no strategy, smarts, or structure. Your website is the central hub for your brand online, the primary vehicle for interaction with your audience, and destination where conversions are taking place. No matter what type of conversion you are seeking — sign up, subscribe, click, register, enroll, buy, join, hire, watch, etc. — the website design must support the sales process, make the content easy to engage with, and naturally guide visitors through the website and ultimately to take action. Earlier this year, I was invited to speak at the ninth International Food Blogger Conference on What Bloggers Need To Know About SEO. Speaking and training is one of my favorite things to do, and the conference was happening at the Sacramento Convention Center near my home, so saying yes was a no brainer. Plus, in April 2016, I started my own personal blog Inspired Imperfection, where I share recipes, family adventures, and candid commentary on life, so this event was also going to be an awesome opportunity to meet other local bloggers! While I travel to business events and conference after, the International Food Blogger Conference was actually my first blogging-specific conference. The two-day food blogging conference ran Friday and Saturday with back-to-back sessions and add-on events happening the Thursday before the event and the Sunday after. Sessions were delivered by a mix of individual expert speakers, moderated panel discussions, and sponsored sessions. WordCamp Minneapolis, happening May 21-22, 2016 at the University of Minnesota Humphrey School of Public Affairs, is focused around the idea of intention and that our best work is always done when we have a sense of the greater purpose behind it. With this theme in mind, many of the sessions will explore the reasons why we do things — whether that’s in development, design, content, teaching, learning, or strategy. Bourn Creative’s own Jennifer Bourn will be speaking at WordCamp Minneapolis about The Path to Conversion, specifically on designing WordPress themes with intention so they support the clients’ goals, position them in the marketplace, help tell their brand story, and naturally guide visitors to take the desired action. Most discussions and talks on WordPress theming are focused on development, but to write the code for and develop a WordPress theme, you first need design. Web design plays a critical role in setting the tone of a website, focusing visitors’ attention, and guiding them through the site to a conversion with as little friction as possible. It also is responsible for shaping brand perception, audience emotion, and telling a story that not only produces results but resonates with clients and customers. Bourn Creative is excited to announce that managing partner, Brian Bourn will be speaking at WordCamp San Diego 2016. He joins a stellar line up of 2016 Plugin Track Speakers, delivering a talk on Custom Data Management Made Easier — An Intro To Custom Fields. Custom fields and custom meta boxes can empower site managers to easily create complex page layouts only possible with extensive HTML markup, without writing a single line of a code. As a designer or developer, custom fields and meta boxes not only empower clients to create these layouts and manage extra site data, but also give you the power to control the markup ensuring proper, semantic HTML, and prevent support issues for “broken” layouts resulting from HTML errors. The Sacramento WordPress Meetup kicked off 2016 with a fabulous new venue — The Urban Hive — and an event with 40+ guests attending, even on a super wet and rainy weekday night. Big thanks go out to everyone who made to out to the event! The next Sacramento WordPress meetup is happening at 6:30pm on Tuesday, February 2, 2016 at The Urban Hive. All 2016 events will be at this new venue, which also provides a hot coffee and tea bar for your enjoyment. Most discussions and talks on WordPress theming are focused on development, but to write the code for and develop a WordPress theme, you first need design. And, while the design of a WordPress theme plays a supporting role to the content, it is critical in setting the tone for the feeling of a website, focusing visitors’ attention, guiding them through the site to a conversion, and providing flexibility for future site enhancements and expansion. 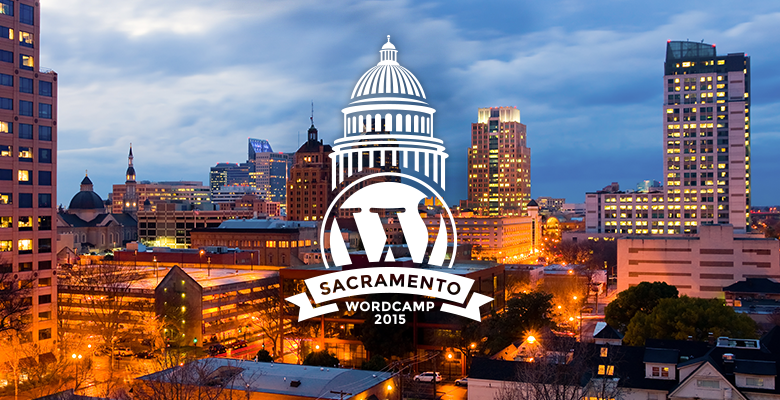 Read WordCamp Sacramento 2015, A Day of WordPress-Focused Training Is A Wrap! Eleven Days. That’s It. There are only eleven more days until WordCamp Sacramento 2015. We’ve been working with WordPress for seven years, and we’ve been attending WordCamps since 2011. We’re frequent WordCampers, traveling to WordCamps across the west coast as they fit into our schedule. We love them, love the WordPress community, and are always happy to see our friends and meet new WordPressers at the events. For years, we have been talking about bringing WordCamp to Sacramento among ourselves and with others involved with the WordPress Meetup in Sacramento. Almost a year ago, I started calling locations, trying to secure a venue, and it’s thrilling to finally see it coming to fruition, to be part of the organizing team, and to have Bourn Creative as a sponsor. WordCamp Sacramento wouldn’t be happening without the volunteer organizing team. As WordPress enthusiasts, co-organizers of the Sacramento WordPress meetup, and agency owners, Brian and I are proud to be organizers of the inaugural Sacramento WordCamp, alongside Bill Mead, Heather Hogan, Jake Goldman, Joe Boydston, and students Jen Meyer, and Emily Buonauro. Read What’s the Deal With Sacramento Web Design? What’s the Deal With Sacramento Web Design? It’s hard to believe… the time has simply flown by. This July, Bourn Creative will have been offering online business consulting, brand design, brand strategy, graphic design, website strategy, and web design in Sacramento for ten years; delivering custom WordPress web design and platform development to businesses around the world for six years; and co-organizing the Sacramento WordPress Meetup group for two-and-a-half years. We weathered those tough years, during the economic downturn — when businesses everywhere (not just in Sacramento) were tightening their belts, cutting expenses, and pulling back on their design, marketing, and print budgets. We weathered the bright and shiny boom of social media and free marketing — and the years of businesses believing that they shouldn’t have to invest in paid marketing or print marketing because social media and online promotions is free. We weathered all the articles and claims that print design was dead and all marketing would be online. We saw businesses switch gears to focus online, and now we’re seeing them all come back to print marketing, using a balance of the two mediums together. We even weathered the two years where venture capitalists and business strategists were proclaiming design was dead and that finished and launched was better than good — and we’re thrilled to have seen that awful phase come full circle back to valuing design and designers. Now many VCs preach the merits of great design and its impact on the success of a brand. Read Mobilegeddon Is Here! But Should You Even Care? Mobilegeddon Is Here! But Should You Even Care? In November Google started warning website owners about the importance of sites being mobile-friendly. We saw this example in mobile search results with the label “mobile-friendly” added to search engines results page listings. Then in February they made it official, stating that as of April 21, 2015 (TODAY), a new algorithm change will go into effect, meaning that whether a site is mobile-friendly or not will affect on your mobile search rankings. Back in March I wrote a post on our blog — Google Drew A Line In The Sand: Your Site Better Be Responsive (Mobile-Friendly) — that details the announcements, shows you examples and screenshots, and provides more details about responsive design and mobile-friendly site design. Mobilegeddon is fear-mongering at its worst. Marketers and less experienced web designers and developers have been putting the fear of Google into website owners over the last 4-6 weeks, with scary warnings and threats… and some serious misinformation. What makes my stomach turn though, is those who are cheering for the change solely because it’s a way to scare/persuade past clients to hire them again to redesign their site and rework the code. Let’s look at the reality of this algorithm change and what it means for you. On March 28-29, Brian and I attended Word Camp San Diego 2015, held at the Hall of Champions in gorgeous Balboa Park. With about 250 attendees, the two-day event drew people from across the US and beyond, and featured: a speaker/sponsor dinner on Friday night, learning sessions, lunch, and an after-party on Saturday, learning sessions on Sunday, and loads of snacks and drinks all day. Plus, there was a lot of swag, including t-shirts, beach balls, frisbees, and water bottles. Saturday was broken down into four tracks — Beginner, Admin (site owner), Designer, and Developer — each with seven sessions and one panel. Brian spoke in the Design Track, delivering a talk titled Child Themes and The Genesis Framework. Sunday featured two hands-on, progressive bootcamps — one on theme development and one on plugin development — as well as two business tracks, with one focused on services and one focused on products. I spoke in the Service Business Track, delivering a talk titled Pricing The Unknown: Dealing With Uncertainty. Below is a complete recap of my Word Camp San Diego presentation, including all of my slides and some extra thoughts on the topic.